The amount of hours we put in at work each week is based on 1920s ideals. Machines are able to do more and more of the tasks we used to do, yet our working week stays the same. 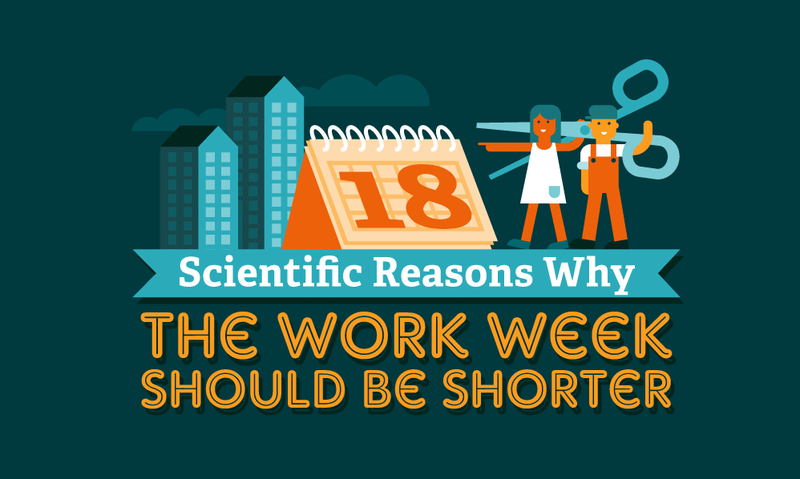 Surely there are good reasons to shorten the amount of time we spend in the office? Well, now is the time to be bold and take your schedule into your own hands. There is, in fact, plenty of evidence that working fewer hours each week will be good for you and your boss. Having more control over your own schedule results in less sick leave. In one test, nurses who switched to six-hour working days took half as much time off for illness as those on eight-hour shifts. And for yourself, shorter hours mean more time for family, relationships and hobbies. You’ll have more energy for work, which makes you more likely to achieve your ambitions and a sense of fulfillment.